Ride public transport in Buenos Aires and you’ll see quite a surprising number of people reading bound books the old school way, with nary an e-reader in sight. It’s because of Buenos Aires’ undiminished love affair with books that the city boosts well over 700 bookshops, or about 25 for every 100,000 residents. Here are three of our favourites, plus a shout-out for an English language bookshop in San Telmo. Google the world’s greatest, most beautiful or most famous bookshop, and El Ateneo will always snap up a top spot on lists. And the fact is, this bookshop is breathtaking. Housed in the ornate Teatro Grand Splendid, a former theatre that’s steeped in nostalgia, the store’s four levels of books under glorious ceiling frescoes are, well, splendid. Stroll along the mezzanines for book browsing and a fantastic view, or sit in one of the theatre boxes or the crimson-curtain framed stage café and peruse a tome. Av. Santa Fe 1860, Recoleta; open daily. Located on a quiet corner in Chacarita neighbourhood, Falena bookshop could easily skip under the radar except for its small distressed-brick building that looks from an earlier time. In fact, other than a small sign, there’s no way to know it’s even a bookshop. And even though it’s not a box, Falena is something of a Tardis: it’s a whole bigger on the inside. With distressed brick continuing into the interior, Falena opens to an open, airy patio that ranks it, for us, as one of the prettiest in the city. It’s not just about aesthetics; there’s also a great selection of classic and contemporary literature as well as non-fiction plus art and design books. Come for the literature, stay for the coffee or wine list. Charlone 201, Chacarita; open noon to 8pm daily except Sundays. Start with some old bookshop shelving and clutter, toss in both funky and modern design elements, eclectic lighting, a café/wine bar and a sunny terrace, and you’ve got Eterna Cadencia. One of the best bookshops in Palermo Hollywood, and just three blocks from Home, Eterno Cadencia is also a meeting place for booklovers, a driving force for introducing new writers and hosts readings by established Argentine authors. Honduras 5574, Palermo Hollywood; open daily except Sundays. Small but filled to the tusks with new and used books, Walrus serves the English-reading community well. Most of the used mass market titles go for about 100 pesos and trade paperbacks from 200 pesos. Estados Unidos 617, San Telmo; open daily noon to 8pm except Mondays. Enter this bright, airy shop and you're warmly welcomed by the aroma of freshly baked bread. Along one wall of this wine bar and café is a collection of some of the country's terrific but lesser-known wines, expertly selected by sommelier Eleanora Jezzi. The sourdough bread is made by her husband, Ohad Weiner, and together they've created a most comfortable place to enjoy some wines-by-the-glass, cheeses, salads and that heavenly bread. Need help selecting a bottle? Ask Eleanora. She has intimate knowledge of her wares as winemakers are invited to divulge their secrets at the shop's frequent wine tastings. As you approach this wine store, you'll notice the "JA!" (pronounced Ha!) sign on the front that perfectly reflects the nature of the exuberant owner of this eponymous emporium. Home to one of the best collections of wines in Palermo, you'll find some Argentina's most sought-after boutique wines happily co-existing with the big boys. But curiously tucked into one corner of the shop is a refrigerated display case chock full of cheeses by Cabaña Piedras Blancas, one of the best makers of artisanal cow-, sheep- and goat-milk cheeses in the country. Ask friendly staff to help you select the perfect bottle to go with your crottin. Walk in past a kitchen that most home cooks would covet that's the cooking school/club part of the establishment, called Salú; four rooms serve as a gallery for art objects as well as casually displaying beautifully hand-crafted goods from all parts of the country. Nestled in a corner is a small selection – perhaps just 15 labels – of excellent boutique wines chosen by Facon's sommelier. While that number may seem small now, their new tasting room set to open at the end of August will expand the selection and offer wine by the glass. This is a great place to find gifts for your return home. With blooming jacaranda trees and clear blue skies setting the scene for spring, one of the most exciting events in the sporting calendar also takes place in Buenos Aires’ best season: Argentina’s Polo Open. Now in its 125rd year, the Abierto showcases the world’s best players across 10 captivating dates, 10-goal professionals at one with their steed effortlessly proving why Argentina dominates the sport of kings. Buenos Aires is the only city in the world to house its own polo stadium within the city limits – and our very own Palermo is home to La Catedral (the cathedral) grounds. Top teams to watch out for include Ellerstina, La Dolfina, La Aguada Las Monjitas and Washington, but the former two are the sport’s true big guns. A family affair formed of 10-handicapped Pieres brothers and cousins, Ellerstina is young, feisty and well-organised with a string of titles to their name. Their toughest rival, however, is La Dolfina, headed by the man widely regarded as the world’s best player, Adolfo Cambiaso, who tends to leave other riders eating dust. It’s these two teams that have dominated the local polo scene for years that will likely come head to head on 15 December in the eagerly anticipated final. The unmissable Masticar steps from Home Hotel! Masticar, the most important gastronomy fair in the country comes back this weekend, and it promises to be bigger and better! It is a great chance to taste the cuisine of some of the best chefs and restaurants in Argentina all under one roof and at affordable prices. The venue is again The Dorrego in Palermo Hollywood, the neighborhood considered the gastronomic hub of Buenos Aires and only a couple of blocks from Home Hotel Buenos Aires. Some of Argentina's biggest star chefs will be present including German Martitegui (Tegui), Mitchelin star chef Mauro Colagreco (Carne, Mirazur Fance), Fernando Trocca (Sucre, Santa Teresita), Donato Di Santis (Cucina Paradiso), and and restaurants such as La Mar, Chila, Helena amongst many others. There will be foodtrucks (our last edition´s favourite Guido Tassi and Fernando Mayoral, Paraje Arevalo and plenty more), parrillas (Don Julio, El Pobre Luis and La Cabrera), an artisan beer garden and wineries. The Market will offer produce from all over the country so you can also take some goodies home! September 6 to 9 from midday to 11pm. Written on 05 December 2015 . The Palacio illustrates and pays tribute to the "Divine Comedy" written by Dante Alighieri. This building shows a unique architectural style, mingling the neo-Romanesque and neo-Gothic appearance. It has a lighthouse on top, where you’ll have a 360º panoramic view of Buenos Aires city, the spectacular Congress and the "Casa Rosada". Although it’s an office building, you can visit it since special tours are offered both during the day and also Night Tours, where you can reach the lighthouse and from its dome see the city illuminated. A special tour for New Year is also offered: The tour starts at 11 pm. It will last about 2 hours. During the tour you’ll be able to visit the main floors of the building where you’ll see all the allegories of the "Divine Comedy” and reach the lighthouse (100 meters high). Watch the fireworks of the city and receive the New Year drinking champagne with traditional delicatessens. Written on 10 October 2015 . They say that “polo follows the sun”…and it is quite true. Now that summer is coming to an end in the northern hemisphere, Polo season is starting in Argentina. High handicap Polo tournaments are starting: The first one is the Tortugas Polo Open Championship. This tournament, together with Hurlingham and Palermo tournaments are part of the Triple Crown of Argentine Polo. Teams with the greatest handicap in the world will participate. All matches will be played on fields at Tortugas, ruta Panamericana Ramal Pilar km. 38.5, and will finish on October 17th. 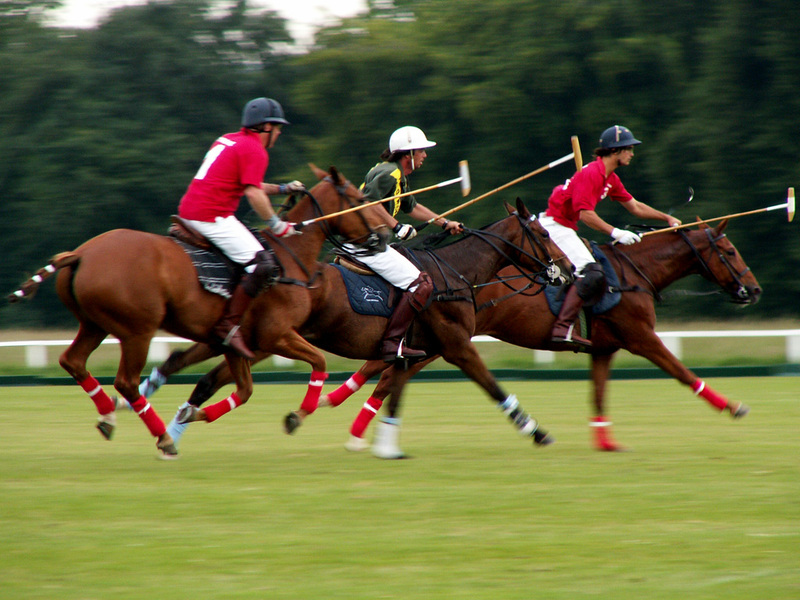 The second High handicap Polo tournament is Hurlingham Club Open that will begin on October 20th. The final match will take place on November 8th. The last and main one is the Palermo Polo Open Championship, from November 21st until December 12th. Tickets must be purchased ahead of each game. Don’t wait until the very last moment, they get sold out pretty quick. Make reservations ahead with our Concierge. Another interesting option is to be a polo player for a day. Argentina Polo Day offers a full Polo Day program, specially designed to become a polo player for the day. Hosted at La Carona Polo Club, you can learn and practise this exclusive sport. For further information, ask our Concierge staff. Written on 09 September 2015 . Gallery Nights is the must-see art event of Buenos Aires. The 2015 third edition will take place on Thursday, September 10th, between 7 and 10 pm. The galleries from Retiro, Recoleta and Barrio Norte (from San Martin to Ayacucho and from Tucuman to Av. Libertador) will keep their doors open to welcome thousands of visitors interested in checking the works of established and promising young artists of the local scene. Gallery Nights can be conceived as a journey, for those wishing to have an overview of what is happening in the art scene in this part of the city, or as an opportunity to visit a particular exhibition in extraordinary conditions. This edition will include the brand new ECOBICI service, the Public Transportation System of the Government of the City of Buenos Aires, which will be available exclusively for visitors to move to the different art galleries using bikes, available for free. Written on 07 September 2015 . Creme de la Creme is a bespoke and tailor made shopping service, founded by Anglo-Argentine Vanessa Bell, who has lived in Buenos Aires since 2010. She is a trend hunter and freelance writer on Buenos Aires lifestyle, fashion, design and food for magazines such as Monocle and Wallpaper and a correspondent for The Independent as well as writing for other international mediums. She creates personalised itineraries based on each client's objectives and interests which they outline in a questionnaire. Each tour is 100% personalised, and her areas of expertise cover everything from emerging fashion designers to vintage, antiques, interior design, leatherwear and artisan produce, art and the local restaurant scene. A tour can focus on one area or include a varieties of interests, such as visiting new and emerging fashion designers in appointment only showrooms, the best secret spots to buy vintage clothing, and a visit to an up and coming artist in their atelier or gallery. Many of her recommendations don't even make it into the guidebooks. All tours are explained in English and of course you’ll also discover the history of the visited neighborhood along the tour. The gastronomical identity of Buenos Aires would be very different without the existence of those typical porteño restaurants called “bodegones”, a culinary expression that arises from first stores and grocery stores that served “something to munch on” and sold products or drinks as well. This bodegones were originated by the merge between the Creole flavors and recipes that communities of immigrants brought to the country. Bodegones are characterized for having a “local” flavor with some history, they can be informal and comfortable and offer an extensive menu, with homemade food and traditional dishes in generous portions and at very affordable prices. What defines a bodegon is the feeling of belonging to the city. It is a place for everyone, which recreates the family table in coexistence with a public space. Written on 29 July 2015 . Argentine Spanish spoken in and around Buenos Aires is distinctly different from that spoken elsewhere in Latin America. Aside from a heavy accent, the language is peppered with lunfardo, a local slang derived from the era of tango. Natives of Buenos Aires are known as porteños (‘people from the port’), which is a reference to the city population’s immigrant roots. Buenos Aires has more theatres and psychiatrists per capita than any other city in the world. Buenos Aires has the second largest Jewish population in the Americas after New York and the largest mosque in Latin America. In Buenos Aires (and Argentina in general) the standard greeting is one kiss on the right cheek. Every year we celebrate National Friends’ Day on 20th July. It is a special day devoted to hang out with friends. St Patrick’s Day is huge in Buenos Aires. Marathon pub crawls are organised every 17 March. In 2003, Buenos Aires became the first city in Latin America to declare civil union rights for gay and lesbian couples. It has only snowed twice in Buenos Aires (june 1918 and july 2007). Below the city lies a set of underground tunnels, and behind the Casa Rosada are the little known 18th century catacombs of Fuerte Viejo. No one knows exactly when and why they were constructed. We as hoteliers know that customer experience’ is today’s business benchmark. And is no surprise that this concept is being extended to other businesses as well. Many stores in Palermo (and other trendy areas of Buenos Aires) are focusing on what they can do to make a strong impact and create excellent memories in customers. And by keeping this in mind they are transforming regular stores into “experience stores”.